Happy Valentines Day to you all!Hope your day is fill with much Love! Mine is Extra Special because I received this Beautiful Card from my Dearest Queen of Hearts our Nellie! And if you want to see the one I sent to Nellie then you will need to hop on over to see her ,tell her I sent you! Happy day, bun brain, from your bird brain. Love does not need a reason. Pure love will come from the heart without reason and it’ll stay every season. I think you have pure love Speedy. Happy Valentines Day! 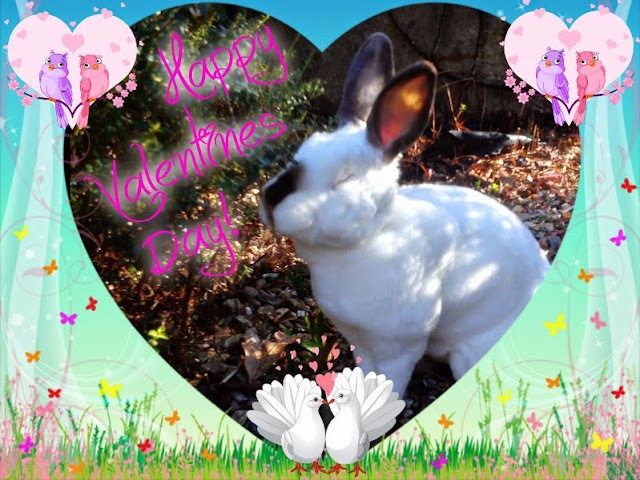 Happy Valentine's Day to you and your humans, Speedy! Wow, that's so sweet! Happy Valentine's Day to you and your gal. 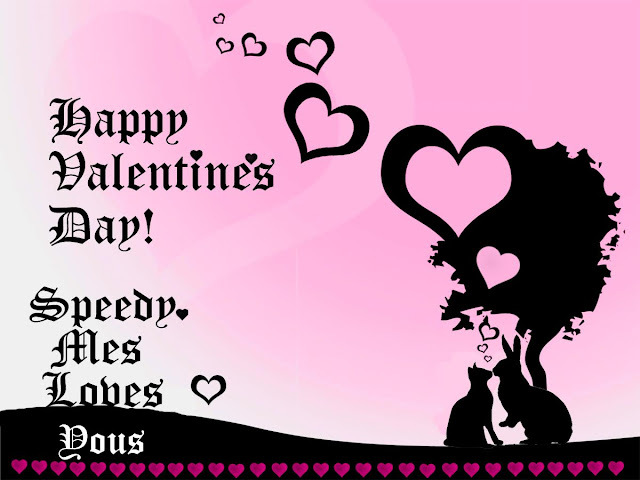 OMB Speedy... that is QUITE a Valentine you sent to Nellie. WHEW. HAPPY VALENTINE's DAY to YOU !!! Oh Speedy! Yous is the bestest Bunny a girl cat could ever want! Yous has been a wonderful gift (to mes)! Good morning sweetest valentine! You are precious and I loved your ecard! Happy love to you forever dear ones! I send you love and kisses. Happy belated Valentine's Day, Speedy!